Keynot Peak and Mount Inyo have been on my to-do list for a long time. Was thrilled to have knocked out Inyo 2 weeks after Keynot. They share the same route to a saddle between them, turn R for Keynot, L for Inyo. Due to forcasted crappy Sierra weather, I forfeited my Whitney Zone permit and Rafael joined me on this very worthy, classic desert summit! We watched the clouds move in and settle over the sierra all day long. Our weather was mostly sunny and very breezy. I was excited to have found the Beekeeper of McElvoy Canyon camp. Opinon of the two peaks - From the saddle: Keynot follows a ridge and has fantastic views of the sierra just about the entire way, the final approach to the summit is on the NE face which entails a traverse across steep slopes followed by a very steep climb up loose, soft dirt. Inyo - much more up and down and bouldering. I perfer Inyo because I prefer that kind of terrain. 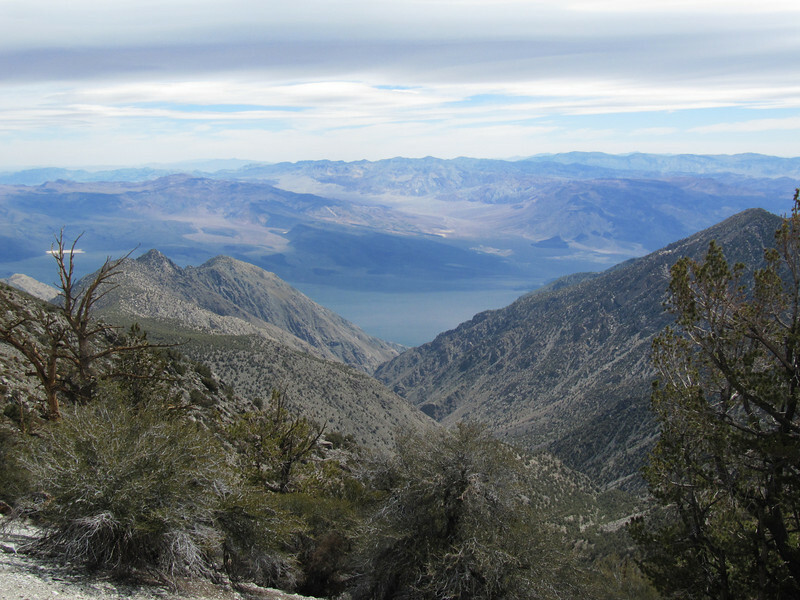 Although Inyo's peak is smaller, I liked the views from it better. Stats: Mi 9.63, total ascent 7,087, scree bomb is 1,300 ft drop in 1/2 mi, time 11:20.